Julie Schryer grew up in a Franco-Ontarian home that was filled with traditional music and song. She began playing piano in 1972. Having four brothers as fiddle players gave Julie ample opportunity to develop as a piano accompanist. During her youth she played for hundreds of fiddle players at competitions and events throughout Ontario and the rest of Canada. Although her style of playing is unique, there have been key influential piano players along the way – including Violet Tulloch, Felix Dolan, Yvan Brault and Josephine Keegan. Julie recorded and toured with the Pierre Schryer Band for several years, has taught at the Goderich Celtic College, the Valley of the Moon Fiddle Camp in California, and the Northwest Fiddle Fest in Smithers, BC. For the last 12 years, Julie has been recording and performing with the Brian Pickell Band. She has also had the opportunity to perform with many other well known musicians in the field of traditional Irish music. Julie has five children (two eldest daughters grown and away from home) and lives in the Algoma region of Ontario with Pat O’Gorman (piper and Irish flute player). As a family, Pat, Julie, her two sons, Zach and Benoit, and Áine (Pat and Julie’s daughter) play concerts, dances and events throughout Ontario as “The O’Schraves”. 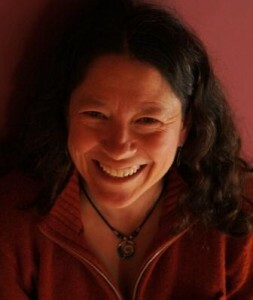 Julie is a founder and administrator of AlgomaTrad.